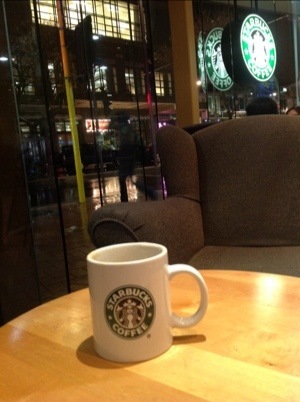 I’m sitting in Starbucks in Courtenay Place in Wellington. I finished work a little earlier today, so I’ve taken the opportunity to have a wander around the city. It’s dark and cold and raining and busy and kinda smelly, and totally awesome. I miss my city. And I miss home today too. I love traveling as I’m sure you know, but I also really love my home and I miss it when I’m away. We are doing lots of exciting things at the moment and I don’t like that I’m missing out because I’m away. Our new kitchen is slowly taking shape – we have new cabinetry and appliances and the bench arrives on Friday. Then we need to plaster, paint, lay new flooring and fix up a few other bits and bobs. It’s pretty much my dream kitchen…if I ever had such a thing. I’ll show you photos when it’s done (the big reveal).